Capt. Victor Delano, U.S. Navy (Retired) died on Aug. 25, 2014 at Casey House in Rockville, Md.. He was 94. 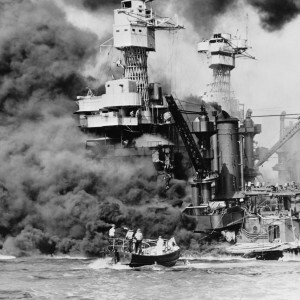 Captain Delano served aboard battleship USS West Virginia when the Japanese attack Pearl Harbor on Dec. 7, 1941. He was buried on May 1, 2015, a cool windy morning, at Arlington National Cemetery. I had the great fortune to work with Victor in the spring and summer of 2014 on his oral history for the Naval Historical Foundation.. His family is now completing the work from edited transcripts of the hours of interviews done at his winter home in Florida and reconciling those with personal and official records of his remarkable life. Victor, then a very junior ensign from the early graduating class of 1941 from the Naval Academy, left a copy of his handwritten report to the commanding officer of West Virginia of his recollection of the attack written in December 1941. He also dictated to his father’s secretary at the Washington Star in early 1942 an account of the events leading up to the attack and what followed, His father, who also graduated from the Naval Academy, served a full Navy career and returned to active duty to serve in World War II. There is at least one other written account by Victor of that day. Of course, he was interviewed numerous times about Pearl Harbor. I want to share his recollection of what was happening on the bridge as the attack rolled on. Delano’s first assignment was aboard battleship West Virginia, one of the few ships in the fleet to have radar at the time, and as lower compartments flooded, he climbed up communications wiring to reach the bridge. “There was the Captain [Mervyn Bennion] propped up against a side of the bridge and he was completely cut open, and he was holding his guts in. … He had been hit by a fragment of either a bomb or something else [off battleship Tennessee]and a piece caught him on the bridge of our ship and just ripped him open. I was able to talk with him. He wanted to know how the ship was doing. When there was a pause I thought, ‘I’ll get something out of the first aid kit.’ So I went to the first aid kit and opened it and that’s when I realized that it was of no use. There was no morphine available because we were at peace and you don’t put things like morphine” if the ship is not expected to be in combat. 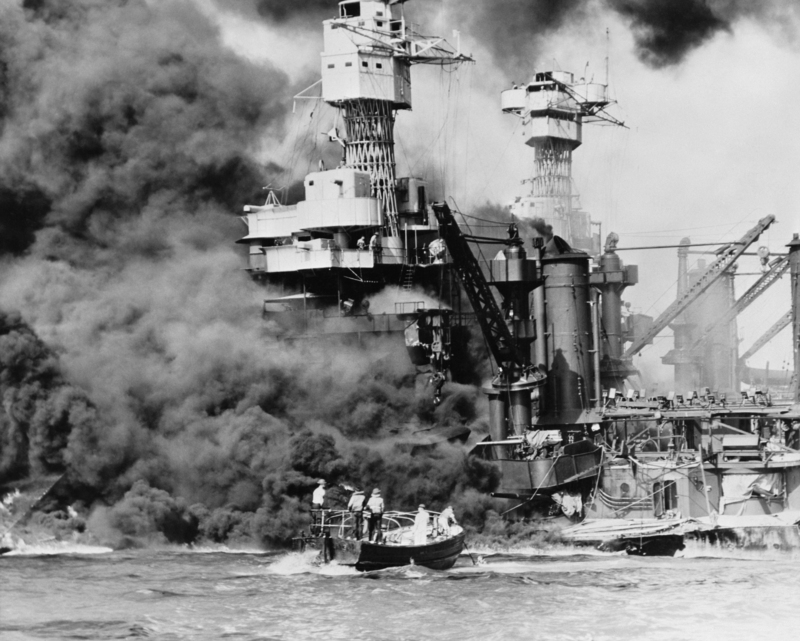 Through the thick black smoke engulfing the bridge, Deland two other junior officers slid their way down gun mounts until they were close enough to the water to jump in and swim to shore on Ford Island. It was now mid- morning. On the island although he was covered with oil, he gave a short what he hoped was morale-boosting talk to a number of women in a shelter. After that he found a place where food was being served and cleaned himself off as best he could By early afternoon, he returned to the ship to help with damage control and rescue. Victor Delano was an American hero.